Liz Mandeville joined the lab in summer 2016 to work on a project in collaboration with Annika Walters and the Wyoming Game and Fish Department, to look at hybridization between rainbow trout and native Yellowstone cutthroat trout in the North Fork Shoshone, and also collaborated with the lab on cichlid genetic work. She completed her PhD in UW’s Program in Ecology in 2016, working with Alex Buerkle on hybridzation genetics in catostomid fishes. Liz started her position as an Assistant Professor at the University of Guelph in Ontario, Canada in January 2019. Karly worked in the lab from Fall 2016-Spring 2017, associated with Liz Mandeville’s project on Yellowstone cutthroat trout x Rainbow trout hybridization. Karly graduated in Spring 2017, and is now a PhD student at the University of California, Merced, in their Quantitative and Systems Biology Program, pursing her dream of researching issues in marine conservation. Brittany began working in the lab in Fall 2015 as a Wyoming Research Scholar. She worked on understanding the evolutionary history of Nile Perch species with genetic tools, and she also took on a major role in our Yelllowstone cutthroat trout work by conducting a field season doing spawning surveys, and compiling 100 years of information about stocking in the North Fork Shoshone. Brittany graduated in fall 2017 and is gaining additional field experiences as a fisheries field technician prior to starting grad school. Kiwi acted as a supporter of science and exploration of all kinds for her 10 years in PI Katie’s life. 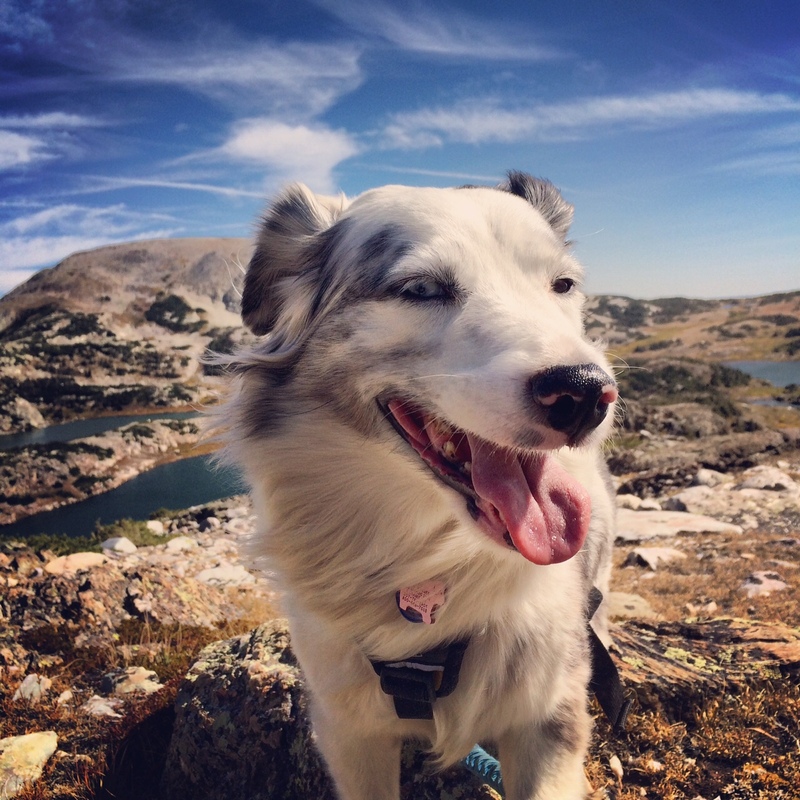 From the depths of grad school to launching my career as a PI in Wyoming, Kiwi was there offering her support and enthusiasm for science, sticks, digging, and snow. She touched the lives of many people, and we miss her.